With so many companies vying for your business, it can be confusing when choosing a supplier for your next display purchase. And that’s why we go that extra mile to help you. This’ll make you smile. 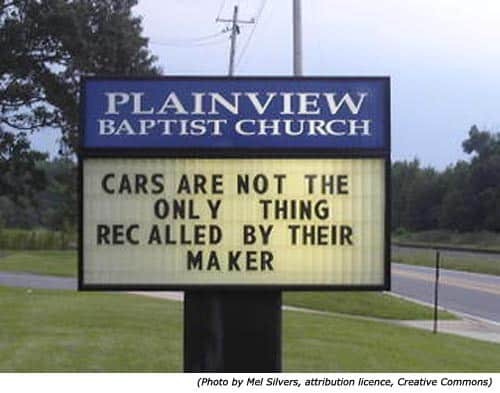 I found this photo in Google and it really caught my attention. 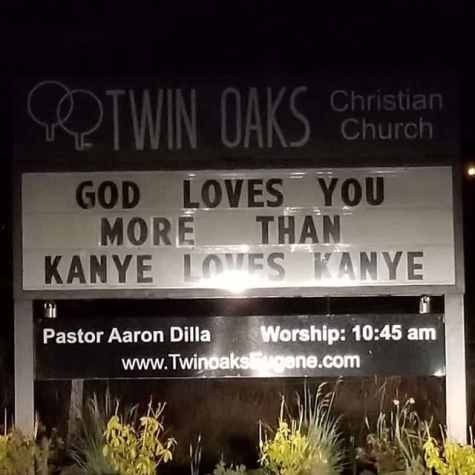 What a great way to keep the message current and grab people’s attention. 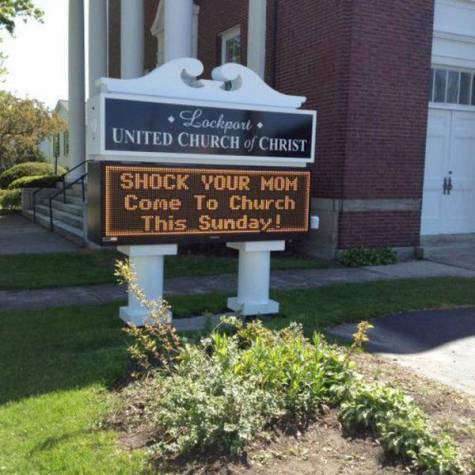 For today's giggle, we're off to Lockport in New York where this funny Church Noticeboard was spotted. Keep sending us your photos. 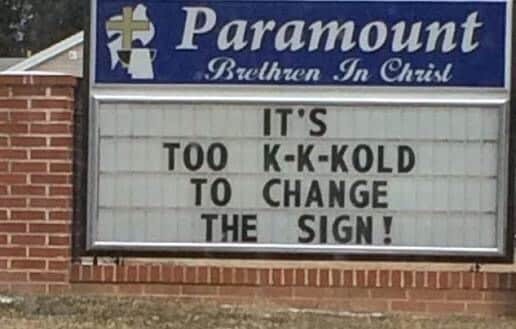 Finally, here’s a Church Sign that made me giggle. 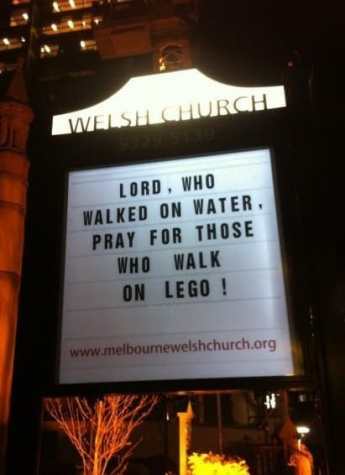 I think more churches should occasionally have a light hearted approach when changing their outside message. Every now and then I see something that really tickles me. This sign reminds me of when I was younger and a stray lego block would be hiding in the carpet. I’d usually find it on the way to the loo in the middle of the night. With all the cold weather, some people don’t have the time to stand in the freezing cold trying to change their noticeboard. Here’s a photo of something that made me chuckle.